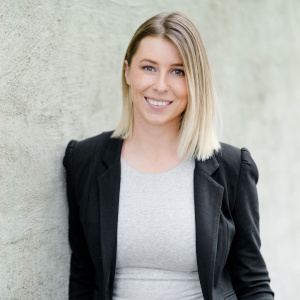 With her mother’s retirement fast approaching, and her financial position raising the prospect of having her as a new flatmate, Amy Mylius (buyer's advocate, Cate Bakos Property – pictured above) knew they had to act fast. How did Amy help her mother get back on track? “In my job interview for my first buyers advocacy position I was asked what I wanted to achieve out of my career. I hadn’t really prepared for this question, but I answered it honestly. I knew that I wanted to be able to help two particular demographics in my position as an advocate: young people like myself who were eager to get into the property market but didn’t have the guidance or knowledge of where to get started, and people like my mum who were approaching retirement age but weren’t financially prepared to stop working. My mum has been a single parent for most of my life and her priorities were always making sure her two children were comfortable and happy. She rarely bought things for herself or went on holidays, and any spare funds went towards paying down the credit card. She had nobody in her life who she could turn to for trustworthy financial or investment advice, and I remember we were once told by a financial planner that she ‘didn’t earn enough to justify their services’. Mum sold her house on a big block in Highett in 2003 and moved 15 kilometres further from the city to Chelsea Heights, so that she could reduce her mortgage and buy a new car. While it was the right decision for her at the time, I always wish she had found a way to stay in Highett, because she would be a few hundred thousand dollars ahead now if she had. A few years ago, and with less than a decade until her planned retirement, I sat down with Mum and her accountant to assess her financial position. She had always thought that the combination of her superannuation and the eventual sale proceeds from the family home would be enough to support her throughout retirement, but the reality was that she would only have had access to enough funds to support her lifestyle for less than 10 years before having to rely on the pension. I told her that if we didn’t do something soon she might have to end up moving in with me – which is something neither of us were too keen on! Her superannuation was going backwards with the disappointing performance of her shares, and she had no other savings to rely upon. I set out a plan to increase her property portfolio with the goal of finding two investments with strong yields and moderate growth. Although she was nervous about the process and worried about taking on more debt, she trusted me and knew she had to do something. Mum set a limit of $100 a week in out-of-pocket costs, calculated once rent had come in and all outgoings had been paid, excluding tax benefits. She had a few hundred thousand dollars of potentially available equity in her Chelsea Heights property, which she could use to pay for deposits and stamp duty fees, and her broker spent some time with her to explain the benefits of offset accounts and loan structuring. Once the pre-approval was in place I targeted Ballarat for the first purchase, knowing we could achieve a yield of 5.5 to 6 per cent in an area with a good track record for sustained growth and a sound economy. We found a four-bedroom brick house in Wendouree that ticked all the boxes and decided to spend an additional $15,000 from Mum’s equity loan to paint and carpet, and install central heating (which a huge bonus for tenants in Ballarat). For a total outlay of $280,000, our fabulous property manager secured a tenant for $310 per week and now, two years later, they have no intentions of moving on. Mum was excited to hear that the cash flow only tallied $30 per week out of pocket, and after tax she’d barely feel a dent in her bank account. I wanted to diversify Mum’s portfolio for property number two, so we set our sights on Geelong, an area with slightly more aggressive growth but stronger rents than Melbourne. With a budget of $300,000, we landed upon a renovated villa unit in a boutique block in Geelong West. I was drawn to this pocket for its beautiful tree-lined streets, period properties, ease of access to Melbourne-bound freeways and proximity to Pakington Street’s trendy shops and cafes. She purchased for $295,000 and we had a tenant lined up to pay $290 a week as soon as the settlement went through. Yielding 5.1 per cent, the cash flow for this second property worked out at roughly $50 a week before tax.